Leesburg is a small town with a big draw for bikers. Located in Lake County, Florida and nicknamed the "Lakefront City", one of Leesburg's biggest draws is the waterfront. Located on Lake Denham and between Lake Harris and Lake Griffin at the head of the Oklawaha River System, Leesburg offers hours of waterfront biking, including Venetian Gardens Park, that any motorcycle rider will enjoy. Leesburg is just northeast of Tampa, with I-75 passing by just to the west. Several major highways also pass through it, including US Highway 27 and US Highway 441. Florida's Turnpike passes just to the southwest. Leesburg is also located northeast of Webster, home of the Webster Cycle Swap Meet, less than a half an hour away, just 21 miles apart. All of this makes Leesburg a hub of motorcycle activity. Leesburg has celebrated all things motorcycle and biker related with the annual Leesburg Bikefest for more than twenty years. 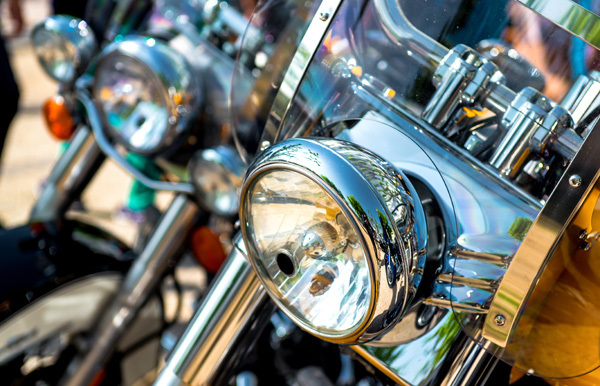 Leesburg Bikefest is one of the largest motorcycle festivals in Florida, and bikers travel from near and far to participate in the celebration. But bikers beware! Festivities and the open road come with their own dangers. Drunk drivers, careless motorists and distracted drivers are never far, and even the most vigilant rider can be caught off guard, finding themselves injured in a motorcycle accident. This is especially true in a motorcycle mecca such as Leesburg. Ride carefully, but have a plan for the possibility of an injury in a motorcycle crash. In case of injury, call Brad Souders, Leesburg's motorcycle injury lawyer. A Florida native and motorcycle enthusiast, Brad was born in west central Florida and has spent his life trekking across the state on the back of his motorcycle. Brad is an award winning attorney specializing in motorcycle accident legal cases. As a life-long biker and award winning trial attorney, Brad truly is a "Biker Representing Bikers". As both a motorcycle enthusiast and a trial lawyer, Brad certainly knows Florida roads and the inside of a courtroom to get you the settlement, judgment and/or justice you deserve. These two talents position him uniquely to represent fellow bikers in their motorcycle injury cases. You don't want just any attorney representing you in your motorcycle injury case – you want an award winning trial attorney that knows the ins and outs of motorcycles and riding. If you're involved in a motorcycle accident in Leesburg, call Brad today and take advantage of his special rates for fellow motorcycle riders and get the compensation and justice you deserve! As a biker himself, Brad has a strong belief that bikers should not pay the maximum attorney's fees as allowed by law, as charged by most other attorneys. You need an experienced Leesburg Motorcycle Accident Lawyer.